A landlord is paying a price because he delayed replacing shoddy carpeting in his rental property. The landlord admitted that the carpet was in bad repair when a new tenant moved in. The previous tenant’s pet rabbit had chewed an area of carpeting, and more was damaged by fireplace cinders. At least three rooms in the house required new carpeting. However, the landlord says he and the new tenant had agreed that the carpet would not be replaced until the tenant had made on-time rent payments for at least six months. According to the landlord, the tenant did not make timely rent payments, and the landlord was forced to serve several 10-day notices. 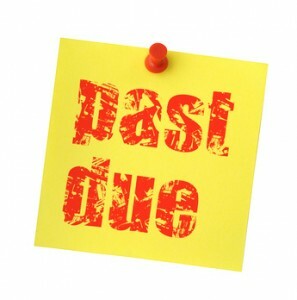 Each time, the tenant paid rent within the notice period, and was allowed to remain in the property. After fourteen months, the tenant became angry that the carpeting still had not been replaced. He initiated dispute resolution, and requested an order to repair the floors at an estimated cost of about $3,300. The landlord disputed the cost of repairs, and that the tenant was entitled to a new floor due to the late-payment history. He offered again to fix the floors if the tenant would maintain on-time rent payments for a minimum of six months. But the B.C. dispute resolution officer ordered that the landlord could not tie repairs to any condition, such as on-time rent payments. The landlord was given approximately five weeks to replace the carpeting in three rooms. The tenant was allowed a rent abatement of $150 for previous months, and $200 per month thereafter if the carpet installation is delayed.